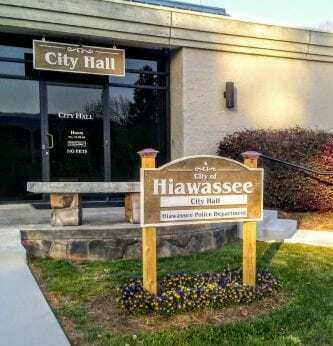 HIAWASSEE, Ga. – In a 3-2 vote, Hiawassee City Council rejected a proposal by Mayor Liz Ordiales to consolidate readings in order to adopt future ordinances in a single session. Had the agenda item passed, expedited adoptions would have essentially reduced the time in which the council could research and contemplate decisions, additionally limiting the length of time that the public had an opportunity to react, to a mere week rather than the month-long process currently in effect. Council members Anne Mitchell and Patsy Owens favored the fast-tracked measure. Council members Amy Barret, Kris Berrong, and Nancy Noblet voted in opposition, defeating the proposal. Mayor Ordiales stated prior to the council vote that the purpose of the decree was to speed up unanimously agreed upon ordinances, using the citizen-supported “Brunch Bill” resolution which appeared on last November’s general ballot as an example. 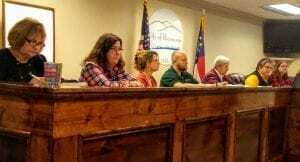 Likewise, Ordiales swayed that issues such as the council’s monthly compensation could have passed had the ordinance been in place prior. The window to increase compensation was lost due to the mayor’s inaction to introduce the item in a timely matter, as no adequate lapse was provided between the two, required readings. Ordiales explained that if the council was not in full agreement at a reading, a subsequent reading would have continued to be held. FYN previously reported on the matter. Information on the city’s strategic plan and sign ordinance is available by clicking this link.